The term fireplace hearth is often used interchangeably with the term fireplace mantel, though there can be a difference in the meaning of these two terms. Traditionally, the term hearth was used to refer to the brick or stone walls inside of the fireplace, the floor of the fireplace, or both. The walls and the floor inside the fireplace often extended beyond the interior of the fireplace and into the room. Today, the sides of the fireplace are often protected as a part of the mantel surrounding the opening to the fireplace, which may be why the terms hearth and mantel can be used interchangeably. Different areas have different codes regarding the use of fireplace hearths. These codes may differ if you are going to use your fireplace or not. Average code regulations require the base of the heart to extend from 16 to 18 inches in front of the hearth, with the sides typically extending 8 to 12 inches beyond each side of the fireplace opening. Many regulations depend on the opening size of the hearth. 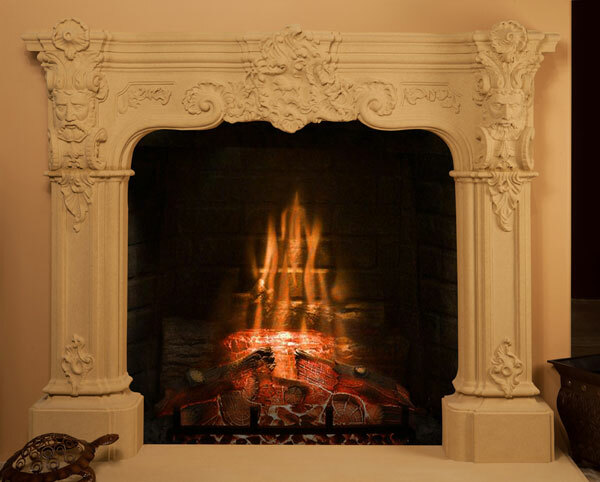 SoCal Fireplace Mantels offers fireplace hearths in Orange County and can inform you of the specific codes and regulations regarding fireplace hearths in your area. If you are looking to replace your fireplace mantel in Orange County as well as your hearth, stop in to see the selection available at SoCal Fireplace Mantels. If you do not find what you are looking for, you can choose a custom-designed option to suit your needs.